The McKee’s 37 Pad Care Kit includes the McKee’s 37 products you need to protect your polishing pad investment, and get perfect results with every compound, polish, and wax that you apply! This incredible value helps you get up to three times the life expectancy from your polishing pads making it a absolute must have combo for anyone serious about detailing. 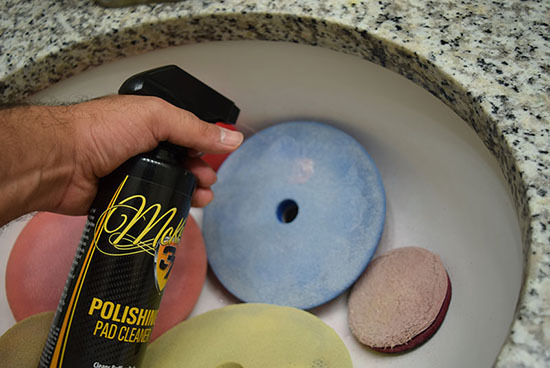 Use McKee’s 37 Polishing Pad Cleaner paired with the handy brush to get pads clean, even after using this compounds and sticky waxes. Use McKee’s 37 Pad Conditioner before starting your next detail job to prevent pad hop, further preserving the pad. The McKee’s 37 Pad Care Kit is essential to maximize the life of your buffing pads! McKee's 37 Polishing Pad Cleaner contains a strong degreasing agent that breaks up oil and eliminates every last trace of residue. Soap (as in dish soap) can leave a residue of its own, so there is no soap in this cleaner. 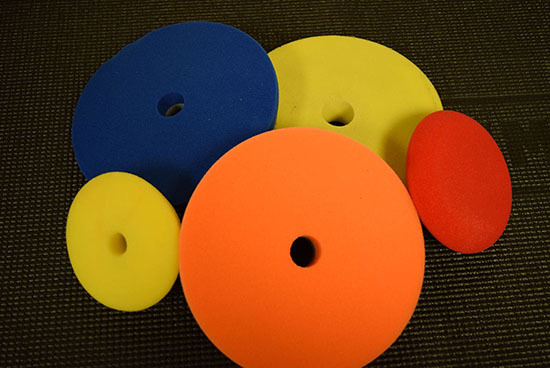 The only thing you will find in McKee's 37 Polishing Pad Cleaner is CLEAN. 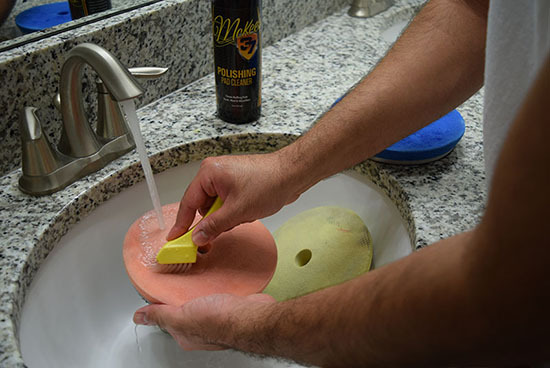 This Pad Cleaning Brush has the perfect bristles for coaxing stubborn polishes and waxes out of the nooks and crannies of your foam and wool polishing pads. The broad face of the brush covers more ground than other pad brushes making your pad cleaning experience more efficient. The Pad Cleaning Brush is perfect when paired with McKee’s 37 Polishing Pad Cleaner or McKee’s 37 Polishing Pad Rejuvenator. A total retail value of $35.97. You save $10.98!